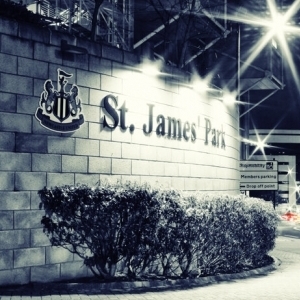 The ICT for Education national conference programme reaches Newcastle on 26 September 2014 at St James Park. Meet the experts, network with peers, solve practical problems and discover new resources in just one short day - free of charge! Pick up your conference badge(s) from Reception on the day. If you would like to bring colleagues, they can register before the event or on arrival. We look forward to meeting you in Newcastle. Presenter and guide on elearning, esafety, safeguarding, IPR and themes relating to technology and learning. Over 20 years experience in leading workshops and training sessions for adults and young people in the UK and other countries. Keynote, conference and exhibition speaker for Becta, Regional Broadband Consortia, universities, LSCBs, local authorities, schools and public services and charities. Steve is an inspirational and experienced teacher. He has taught in primary, middle and secondary schools and covered many roles including ICT coordinator, head of year and senior leader. For the Open University, he has advised schools across the UK on their use of technology. Developing teaching and learning in schools is the focus of Steve's work and he now advises teachers on using iPads to make an impact on learning. As a part-time lecturer at Durham University, he shares his experiences with undergraduate teachers. To develop enquiry in the classroom, Steve uses video games, programming and robots to enthuse his students.